Matching YOUR Needs with the Market! So much is written about first time home buyers, but not much is discussed about a first time home seller, or sellers who have lived in their current home for over 10 or 20 years! Sellers need guidance on how to prepare their home for showings. What are the typical requests from buyers? Should they be concerned with replacing the dish washer and how much will that cost? How much is their home worth? Is it a good time to sell? How long should it take to sell? 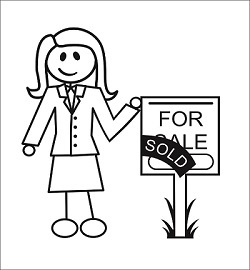 Check out my "Seller Advise" section for additional tips when selling. Now that I have your attention, I would like for you to think like a buyer, that’s probably also on your mind, because once I’ve assisted you with selling your current home, chances are, you will be in the market to purchase another property across town or relocating out of state. I’ve prepared this section to assist with the most frequently asked topics from home sellers. Should you have additional questions regarding a real estate subject, please email me today.